A distant wave of sounds (the stories in EM begin generally like that) spreads a kind of sigh which snivels in a rather cosmic universe. Chords resound on the horizon while hummings tint the musicality of these arpeggios of a veil as so melancholic as these musical sobs which decorate the ambiospherical introduction of "Dirac Delta" of a cosmic-orchestral approach. A line of bass sequences makes its keys skip and fall down one after the other in a pattern of ambient rhythm where our fingers hammer delicately the pace. The atmospheres stay of silk, covering this onset of rhythm of a meditative shroud. Other keys make sequenced capers while the atmospheres generate multilayers of synth with scents as much of mist than cosmic dusts. Little by little "Dirac Delta" organizes its embellishment of rhythm with other elements which make their appearances around the 9th minute while the synth which embroidered these tearful harmonies of the introduction make them sing now. And like this stories of EM conceived on the model of improvisation, "Dirac Delta" switches off in its slow final its rhythm and its atmospheres. Composed, performed and recorded under the sign of improvision on the day of May 30th, 2016, “Impulse Response” has nevertheless no appearances of it. This 6th album of Magnetron goes straight to beats than Photonic Waves by proposing also 4 other long structures sat this time on elements of rhythm knotted well around the sequenced model of Berlin School which progress in these ambiences tinted of elements as well psychotronic than cosmic and/or orchestral. As for me, it's the most beautiful album, to say the least the most accessible, of Magnetron. Evolutionary and magnetic, "Tessellation" begins with a strong storm of woosh which conceal threatening hummings. The envelope of sounds is adequate with effects which enchant the hearing and command that we increase the volume of our amplifier. On this matter, the listening of “Impulse Response” is as much pleasant with a Hi-Fi system than with good earphones. A synth spreads a veil of gloom with beautiful aphasic songs, whereas another one generates more musicality with beautiful layers of cosmic violin which adopt these amorphous cosmic dances of Software and whereas another one continuous to crumble some quirky electronic tones. Pulsations threaten these atmospheres with steps of wolf at around the 7th minute. Layers of voices try to charm this approach of rhythm which accelerates quietly the speed of its repetitive loops. The series of sequences is charmingly imperfect and draws a rhythm pierced of small breaches which sound as in a mixture of Poland and Tangram. And if the rhythm seduces by its approach of hypnotic awkward kicks, the synths are not outdone by sweet floating harmonies which resist to this desire to listen to Logos. This structure imposes more and more its hold of our senses with the arrival of electronic percussions which anchors the rhythmic solidity of "Tessellation" in its broth of effects and harmonious layers of its ambiences. Speaking of Tangerine Dream, the structure of the sequences of "Intermodulation" moves us unmistakably closer to that of the mythical German trio. The keys hiccup of spasmodic jolts which go and come between the membranes of layers perfumed of metallic drizzle and rippling mists. Crystal clear arpeggios draw lines of evasive harmonies while the percussions add more velocity to this very TD rhythm which covers itself of synth layers in contrasted tints and tones, among which those of the delicious scents of Create. Rhythm on ambiences of pure Berlin School, "Intermodulation" is indisputably one of the most accessible titles of the Magnetron catalog. And with its synth layers which float such as the tears of spectres over a battlefields, "Convergence" makes competition to "Intermodulation". If the rhythm is bubbling as much as an army of keys which skip on the spot, the fluty perfumes of synths is the first object of seduction on this title which ends “Impulse Response” beautifully. The cosmic-orchestral layers are just as much mesmerizing there, we can even hear layers of old organ, while the other keys which bring more transparency to the ambient rhythm give more latitude to the synths which spread some soft elegiac solos, a little as astral trumpets over a pound of swarming elements of a static rhythm. 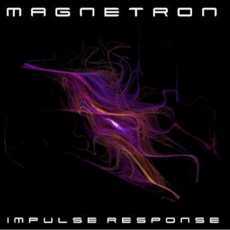 I really liked this “Impulse Response” of Magnetron. Steve Humphries and Xan Alexander bring us back at that time of the revival of the Berlin School made in England with long minimalist structures charmed by subtle imperfections in loops, fascinating even more the discovery of these minimalist approaches which always give the necessary space to decorated well each of the music minutes. The essences of Create and Xan Alexander merge with a very beautiful complicity in this album which aims to be certainly the most accessible of the Magnetron catalog. A must for the fans of Berlin School and one of the beautiful albums of this kind to be release in 2016. I always attack a work of ambient music with a lot of detachment. I put myself the nose in a book and I let myself absorb by this sonic void which invades my senses, such these big waves of ink coming from a huge octopus. If the reading takes place without my ears rise up, I know that the music is soft, quiet and linear... It's when my eyes get loose from words of a writer (I read at the moment Faims from Patrick Sénécal) to connect in my ears that my senses have detected something impressive. 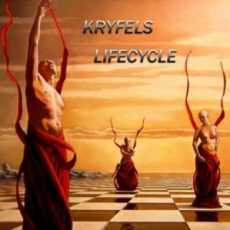 A little like here with "Life Edge".“Lifecycle” is the 3rd album from the French synth wizard Kryfels. A quieter album, and especially darker, than Parsec where revealed us to be another follower of the primary years Klaus Schulze. And if the influence of Schulze always remains so present in the movements of ambiences of Kryfels, his music here inhales another perfume. That of occultism with strange sound shadows which eventually steal our eyes of the nothingness to fix them where Kryfels wants to bring us. An austere shade rises of our loudspeakers. Spreading a sinister wave, it divides into many lines of which the sibylline colors also reveal abstruse chants. Multiplying the layers of dark ambiences, "Anteroom" invades our senses with perfumes of ether and invites us to the 9 sound chapters of “Lifecycle” with a very ambient and dark approach where chthonian murmurs and hollow winds harmonize their hold on our sense of hearing. The movements get organized around the last album of Kryfels with the slow arches, always very Mephistophelian, of "The Choice" and its sepulchral waves moved by layers of organ and beatings of steel doors. That makes very vintage ambient. "Open the Door" is dragged a little in these dead movements but with a halo of luminosity which irradiates such as voices of spectres buried in slow and sinuous oscillations of a vampiric bass line which will mislay a beautiful spectral melody towards the finale. We are always in the dark corridors of the fissures, even if the power of tones and the muffled movements of rhythm liven up little by little the moods of “Lifecycle”. "Life Edge" leads the charge with a storm of woosh which sweeps the sonic horizons. A delicate movement of sequences makes twinkle its keys which dance in a figure of rhythm more harmonious than rhythmic. Bright veils caress this chant of sequences livened by some beautiful astral embraces whereas "Life Edge" swirls as a xylophone in the form of a carousel. The sounds get more acute and the shadows more scarlet, while are grafted large groans of an chloroformed layer which little by little switches off the magic of the twinkling carillons of "Life Edge". "Mind Transit" proposes an ambient rhythm knotted around staccato effects from which the echoes swirl slightly on the sonic carpet of synth waves with very analog tones. One would say vapors of old Schulzian organ. The title-track is a real tribute to these ambient rhythms of the nice time of Klaus Schulze. Even if Richard Raffaillac tries to get rid of the influences of the German master, we cannot avoid the parallels, especially with "Lifecycle" and its somber rhythm which rises and falls, pursued by vapors of ether and of old organ. That's very beautiful and that brings us to the period of Timewind. The same goes for the very ambient "Burned Lands" which brings us near the nebulosity with a thick cloud of spectral waves which float in a mass of harmonies of robots-monks humming into deep gutters of which the narrow and willowy corridors seem to connect with cosmos. The touching layers which decorate the finale give shivers to the soul. There are dusts of rhythm of "Life Edge" in "Alone Again". Less circular, the structure is parading in fine limpid jerks and is eaten away from everywhere by the powerful woosh, by greedy hollow winds and by shouts of starving spectres. These ambiences are hot, like a storm of cracklings which attack the tolerance of the sense of hearing to analyze the abrasivity of tones. Gradually the calm settles down with soothing layers haloed by an aura of old organ. It's a sonic cataclysm avoided! "Anteroom 2 (Parallel World)" brings us in the somber corridors of dark ambient music worthy of the universe of Baki Sirros, the soul behind Parallel Worlds, where Kryfels attaches finely these missing links between the first years of Klaus Schulze and those of the last years when the dark ambient music spatters as in the most beautiful moments of ['ramp] and/or Stephen Parsick. 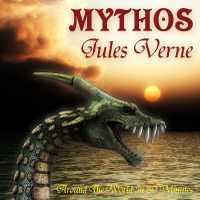 As with Jules Verne Forever, writing a chronicle about this last album of Mythos is not an easy thing. Here, there is nothing as somewhere else, set apart Jules Verne Forever. A wave of sound spreads its reverberation which languishes in groans of didgeridoo. Tribal voices hoot whereas a line of sequences makes oscillate its keys in fine kicks of horse and that percussions spring out such as jets of blowpipe. The rhythm of "Phileas Foggs Dream", as well as all the universe of “Jules Verne - Around The World In 80 Minutes” is rather difficult to describe. Sometimes it oscillates as a big boa and other times it drums as a pony taken in ice. Without forgetting these moments of transitions which facilitate the passage of the one towards the other one. But each time, it's forged in sequences and percussions as organic as electronic with a harmonious portion which remains stuck on eardrums. This harmonious texture is moreover just as much fascinating with a caricatural approach which oversize a very tribal bucolic sound envelope in a sound fresco which brings us back to these big cinematographic deployments where traders of fairs and acrobats of circus walked around in crowded streets. Here we are, and it's completely identical to the 80 minutes of this other Stephan Kaske's odyssey, at the heart of the universe of Jules Verne. Here, everything is as much attractive than difficult to seize. In fact “Jules Verne - Around The World In 80 Minutes” is an album to which one becomes accustomed rather with difficulty so much the sound texture which extricates from it is as much audacious than unpredictable. The rather Tibetan opening of the title-track leads us in a sound universe which challenges constantly the imagination. The ringing of bells is swallowed by a structure of rhythm which sparkles with its thousand pulsations and with the brilliance of these bells in order to crawl finally like shadows of vampires before flying on a more fluid phase where dramatic and imaginary elements are in confrontation in a baroque structure filled with sound effects and with bucolic elements as realistic as these grandiloquent movies inspired by the world of Jules Verne. "Around The World In 80 Minutes" throws itself into "Across the Mediterranean Sea to Egypt". The rhythm is very electronic with a meshing of sequences, filled of criss-crossed acrobatics, and of percussions which click and resound such as wooden clogs. The sequences are feeding as much the fire of the percussions as the thin lines of harmonies twittered by absent voices and by effects of flutes. Every title here are tied in a long mosaic of 80 minutes with structures which are similar while being very distinct. So the structure of rhythm in "Steamer to Bombay" is a fascinating symbiosis of the first 3 titles but in a more hopping envelope. It's indisputably the first crush in “Jules Verne - Around The World In 80 Minutes” with this rhythm which cavorts cheerfully under the bites of the low sequences and the grapeshots of percussions so much shining than attractive. The effects of flutes and gurgling sound are built around so many mysteries as charms. "To Calcutta by Elephant" pursues the quest of elegance with an indefinable structure decorated with beautiful harmonies extirpated of a synth always in creative mode. The rhythm is ambivalent and enslaved in an atmosphere of jungle filled with dramatic effects. "From Calcutta to Hong-Kong" follows with a structure always also batrachian but in an envelope of more ethereal oriental melody. A chinese violin and a mandarin flute accompanies the hatching of a green and abundant musical fauna while the track undertakes a more dramatic tangent with good harmonious oriental glassfuls. "From Yokohama to San Francisco" adopts the shape of a slow tempo, a little in a nuptial march mode, adorned of nice moments of harmonies of which the effects of jerks and of whirlings give the impression of hearing the fall of stars, some are falling with nice melodies here, on a boreal night. We enter into the quieter core of Mythos' last opus. Lighter but just as much mysterious, "Across the Atlantic Ocean" proposes a peaceful hopping structure with a mixture of tones in the movement of the sequences which offers a delicious crescendo between its phases of ambient moments. Very charming, the synth offers two lines of fluty harmonies which skip in unison with the delicate rhythmic growth of "Across the Atlantic Ocean". "It's Off to Liverpool!" is the 2nd track of “Jules Verne - Around The World In 80 Minutes” to propose a more electronic rock structure loaded of Tangerine Dream's perfumes in their Jive era. It's a good title with a circular melody which swirls in electronic effects very near of Legend. "It Seems the Wager has Been Lost" is as much lighter than a Jazz music of a night club where some last lovers look each other with desire. The tribal approach which hides behind this curtain of romance offers a completely delicious cachet to this music which discloses its finale in jolts of cascades. "The Triumph" ends this other impressive work of Mythos with a magnificent melodious approach where effects of voices caress a beautiful movement knotted in the limpidity of a rivulet of sequences. The title evolves afterward in a beautiful down-tempo and reminds me enormously these attractive movements tinted of romance which decorated the music of Thierry Fervant or yet Walter Christian Rothe in his majestic Let The Night Last Forever. Fascinating and audacious! Such are the first words which come in mind to describe better the universe of this last Mythos opus. Still surfing on the dreams and the fantasies of our childhoods, closely linked to the tales of Jules Verne, Stephan Kaske always succeeds gallantly this audacious bet to put in music the tales and the visions of the famous writer from Nantes. And as indicates it so well Mythos, you have to give yourself the chance to listen to the album as a whole, with good earphones, in order to be taken by the waves of his last creation. And that comes rather fast. We shall say what we shall want, and no matter the styles, Rainer Klein has this gift to extract the roots of feelings which hide under every pore of our skin. The proof? These notes of piano which traces a path to nostalgia in the tumult and the rumblings of the opening of "Look up Your Eyes"! There are 30 seconds to the meter only that already the sound textures of “Constellations and the Red Thread Front” swallow us. As in Monument. As in Genius! Breaths of big horns caress this melody, bringing sequences which flicker in its furrows. A line of bass makes, sneakily, its notes pound while the percussions put more weight to the emotionalism of the atmospheres. And these tears of guitar which squeak in the soft staccatos orchestrations are cementing the rather dramatic film approach to "Look up Your Eyes". And what would be these textures without these ethereal voices which float as those of fallen angels and a passage of dark atmospheres which end in a crescendo of emotionalism with a furious guitar and its solos which pierce the senses? Here it is! 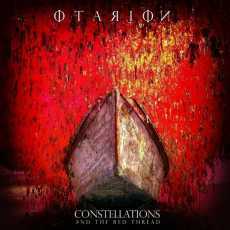 You have the picture of the last Otarion album. Of what I have read, “Constellations and the Red Thread Front” would be the conclusion of a trilogy begun with the splendid Genius in 2014. And it's very plausible because we find here these same ingredients which fed the charms of Genius and of Monument; catchy melodies, poignant piano, guitars with heart-rending solos as well as the pompous and enveloping orchestrations on a marriage of percussions and sequences which built rhythms sometimes progressive and\or symphonic rock and sometimes dance and\or Electronica but always in a cinematographic temperament. "Follow the Thread" follows with a static rhythm forged by a movement of sequences which skip in a linear structure. The approach is similar to a ghostly rodeo which will explode for a good symphonic rock decorated with layers of old organ. Between its heavy rhythm and its seraphic atmospheres, the arrangements remain silky and the synth weaves a superb poignant melody which lead me back to those beautiful melodies that we heard on Genius. Heavy, dramatic and poignant! We are in the best phase of Otarion s universe. "The Constellation" begins its journey with a more electronic approach. Layers fall as these leaves deriving from its tree and the sequences sparkle and flash with their shadows which draw a more sibylline aura. The percussions which fall create a suspicion of Electronica which becomes a reality when the sequencing pattern is wrapped by orchestrations' momentums and by a the greater swiftness of the percussions. We are in a good Electronica mood where the percussive perfumes of Jean Michel Jarre are peppering the harmonious orchestrations of Moonbooter beneath the soft sedative fragrances of absent voices. I liked it, even if it is not in my tastes! There is a little something explosive in this title, as well as in "Reverberation", and its harmonious approach of sequences on a background of a rhythm of dance which does very Still Alive (Adieu) of Moonbooter. Except for the very trance and dance "Break Out", which drains as much our eardrums as our feet, every title of “Constellations and the Red Thread Front” lies within an evolutionary envelope where rhythms and atmospheres follow one another with additional elements of swiftness. Of symphonic rock to cinematographic music while going in dynamic Electronica, Otarion takes pleasure to exploit these elements inside the parameters of time in each composition. "Flames" is a very good example and proposes a good symbiosis between Electronica and a solid e-rock with a guitar loaded of solos as striking as the riffs are lively. It sounds a bit like Jerome Froese, although that sounds also like dynamite inspired by the excellent Jean Michel Jarre's Chronology. "Inspired" adopts a little the elements of "Flames" with a big symphonic rock (the splendid layers of organ will seduce the fans of Procol Harum) which feeds of electronic candies (sequences travel in banks of fog and voices) on a long structure which proposes passages as meditative as explosive. Rainer Klein keeps constantly on the alert and our emotions need to breathe, to redo the height. And it's there that the conclusion leads us to the very silky, but dark, "The Mysterious" among which the slow ambient breezes and these notes of a piano always so pensive as those of Vangelis seem to drive us to the next stage of Otarion. Among the artists that I discovered in these last years, Nord is unarguably one of the most appealing. An artist who has a lot of experience, Sztakics István Attila knew how to develop a universe minimalism where are grafted a panoply of rhythms, lively or ambient, and of electronic elements which always follow the mainstreams of his ideas. 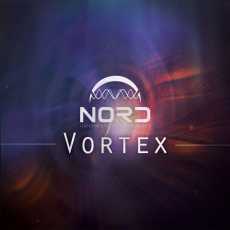 Inspired by the rotation of the Universe, “Vortex” is already a 3rd album in 2016 and proposes 3 long evolutionary titles with as background a cosmic and filmic vision where the style of Nord brushes slightly the kind of The Dark Side of the Moog series and that of Otarion in his very good Genius. A wave of sounds reveals a thick cloud of tonal waves which appear and forge a dense sonic tapestry which floats like these layers of ether in Wish You Were Here. A piano gets loose from this wall of interstellar atmospheres, drawing a deformed melody of which the main attraction is to awaken a line of sequences with its keys which skip as a centipede with a multitude of broken legs. The rhythm limps in a dense synthesized coating. And a heavy effect of orchestration whips it in order to energize it in a rhythmic structure which meditates between trance and techno. The background regurgitates good cosmic effects which swallow this first brief structure of rhythm in "Circles" which leaves shyly its place to this piano which repeats its melody with a beautiful melodic schema where every note, strongly hammered, leaves its imprint in our ears. The atmospheres are rich and wrap this first title of “Vortex” in a wealthy cosmic cloth with a very beautiful synth which draws solos from which the forms derive such as the crumbs of a vessel which dissolves in the coldness of cosmos. The rhythm returns a little before the point of 9 minutes. More acid than its first part, I hear the sequences being wilder here, it proposes a static approach decorated with very good solos of a very creative synth. As much in its harmonies, its acrobatics as its atmospheres. This is good Nord! The first waves of "Spirals" are feeding an ambient rhythm knotted in a cloud of static oscillations. The synth is very airy and throw some brief solos, like a solitary being who whistles improvised melodies. The rhythm becomes as lively as the 1st part of "Circles", but with a very beautiful play of sequences which draw circles rhythmic as in a game of spirographs. The fusion of cosmic techno and of the movement of sequences is very successful. Especially with the effects of a synth which never stop to fill our ears. We note a light crescendo in the power of the rhythm which keeps however the same spherical swiftness. And the more the sequences are going and the more I hear Chris Franke in the 80-81years. The first 8 minutes are of fire, while the second part of "Spirals" proposes a circular melody, always fed by good electronic effects, at both cosmic and organic, which reminds unambiguously the minimalist approach of Mike Oldfield in Tubular Bells. A synth and its fluty breezes accompanies this ritornello which fattens its harmony of effects and crystal clear sequences. This movement shrink its harmonious spiral which will burst in a more livened up structure in its last minutes. "Rotation" is a little built on the same minimalist melodic mold, but this time it's the guitar which leads the game. Its notes get melting in a structure of sequences which makes its keys cavort in layers of a synth perfumed of melancholy. Tears of synth (guitar?) weave a soundscape where spectres are lamenting over a movement which rolls more and more in squeezed loops. The game of sequences is as much appealing as that of "Spirals", except that the rhythm goes more and more towards the explosion. The synths always remain as magic and creative while the guitar of Makkai Kálmán is eventually throwing airy solos which sound so much as those of Frank Dorittke. The solos turn into riffs, guiding "Rotation" and its cosmic effects towards a rhythmic evolution which will reach its peak at around the 13 minutes with explosive percussions rumblings. A fine strummed melody escapes from this rhythmic torrent, freezing a melody which will pierce time while quite slowly the last moments of "Rotation" are ending among some other nice incisive guitar solos and a surge of a more temperate rhythm, more in ballad mode. There is some music in the imagination of Nord! And some rather good for a synthesist who aligns albums as a cat makes kittens. “Vortex” is a beautiful album intended for those whom the coziness of the minimalist structures comfort. And Sztakics István Attila is rather strong in this game. The way he has to create crescendo, relatively quiet, around his structures makes of his music a musical box full of charms.